“I don’t really think I’ve said anything much about the gold – I’m not in favor of a gold standard.” — Federal Reserve Board nominee Stephen Moore, interviewed on CNN, just before being shown three clips of him saying he supports a gold standard. “You think I’m going to get intimidated by a bunch of yahoos trying to embarrass me?. They’re the ones that are going to be embarrassed.” — Herman Cain, whose prospects for a seat on the Federal Reserve Board of Governors have grown shaky before President Donald Trump even nominates him, likely gave his detractors in the U.S. Senate one more reason to oppose his confirmation. “Only Congress can declare war. You do not have our permission to go to war with Iran.” — Sen. Rand Paul (R-KY), quoted by CBS News, to Secretary of State Mike Pompeo. 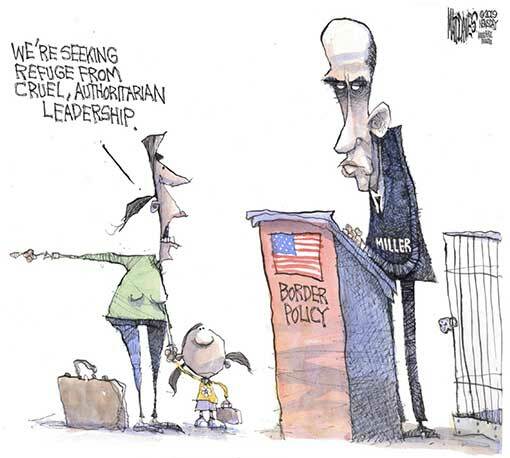 The extent of this administration’s cynicism and cruelty cannot be overstated. 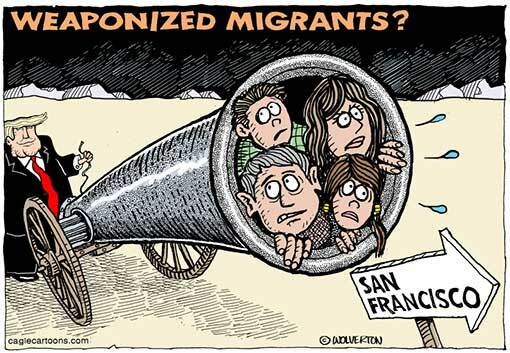 Using human beings—including little children—as pawns in their warped game to perpetuate fear and demonize immigrants is despicable.” — Pelosi’s spokeswoman Ashley Etienne statement in response to Trump’s threat to transport detained immigrants to sanctuary cities and release them there. “Capitalism is a lot more important than democracy. I’m not even a big believer in democracy.” — Federal Reserve Board nominee Stephen Moore. “Why is the president comfortable putting out horrible images like that. 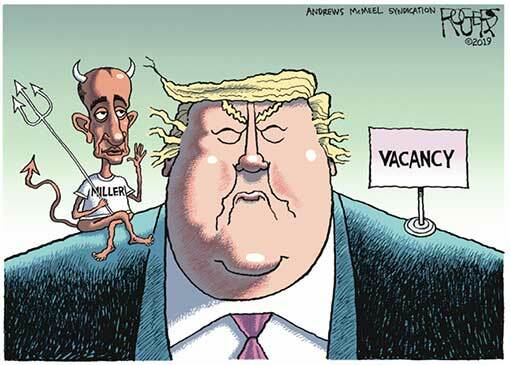 Does he worry at all about inciting violence against Muslims in general, or Ilhan Omar in specific?” — Fox News’ Chris Wallace, who did not feel “comfortable” playing more than 5 seconds of the President's video, as he interviewed White House press secretary Sarah Huckabee Sanders. “In my lifetime I have never seen a more biblical president than I have seen in Donald Trump. He is highly biblical and I would say to your listeners that we will, in all likelihood, never see a more godly, biblical president again in our lifetime.” — Former Rep. Michele Bachmann (R-MN). “I think if you look at swing voters in this country they are incredibly focused on the economy. I think today you look at it and say that Bernie Sanders is unlikely going to be able to stand up to the constant barrage that is Donald Trump on economic issues.” —Jim Messina, who managed Barack Obama’s re-election campaign in 2012. 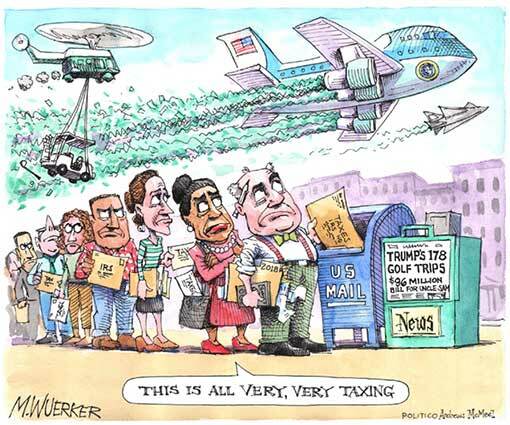 Americans are in a state of abject panic amid reports that Donald J. Trump is threatening to dump thousands of fired Cabinet members and aides on cities that do not support him. Nothing stirs President Trump’s most radical ideas like immigration. And nothing so stirs his willingness to entertain what some consider illegal or wrong. Trump is genuinely frustrated that two years into his presidency, he hasn’t built the wall he promised, and he hasn’t reduced the flow of asylum seekers and undocumented immigrants into the U.S. In fact, the numbers are going up. 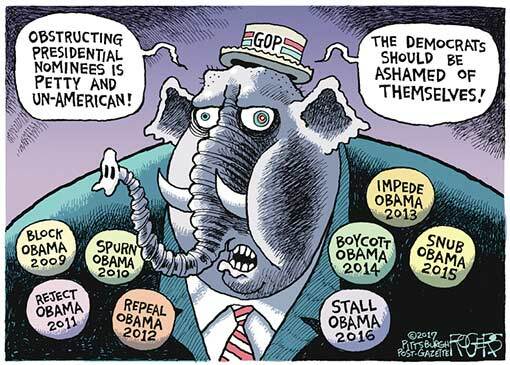 The issue is highlighted above all others by the news outlet he focuses on most, Fox News. That raises his blood pressure every day. 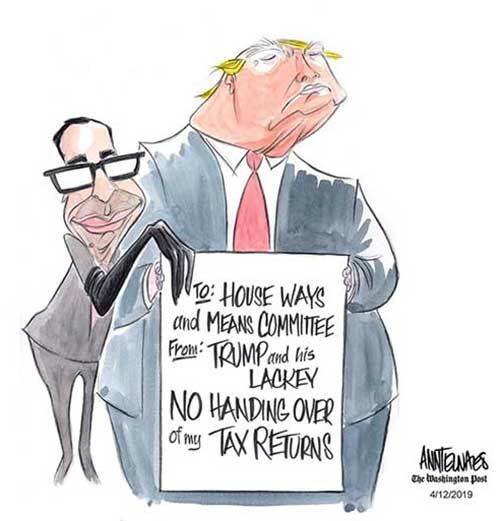 “Frankly, Chris, I don’t think Congress — particularly not this group of congressmen and women — are smart enough to look through the thousands of pages that I would assume that President Trump’s taxes will be. “My guess is most of them don’t do their own taxes, and I certainly don’t trust them to look through the decades of success that the president has and determine anything.” — WH press secretary Sarah Sanders pushing back against Democrats’ demands for information on the Trump’s finances. It remains unclear if Trump even understands the essentials of the business he runs. That would actually make sense given the frequency with which he has had to declare bankruptcy in the relatively foolproof business of running casinos, even beginning with hundreds of millions of dollars in his father’s money. 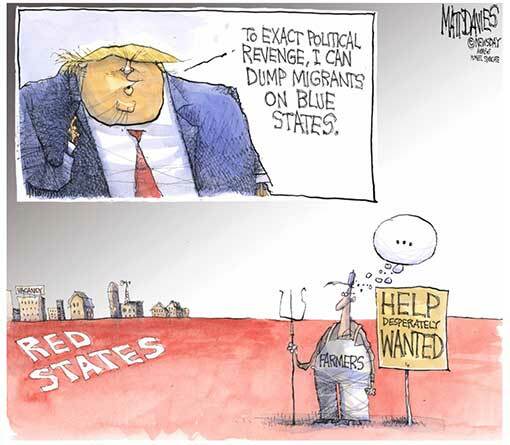 He has only survived by sheer shamelessness: using loopholes and outright fraud to stiff his contractors and cheat his lenders, then using his outsized ego to sell his own image on sub-par reality television shows, steaks, fraudulent universities, and other products. His golf courses tend to struggle, and there’s definitely something weird going on at least with the financing of his course in Turnberry. -- David Atkins in the Washington Monthly. 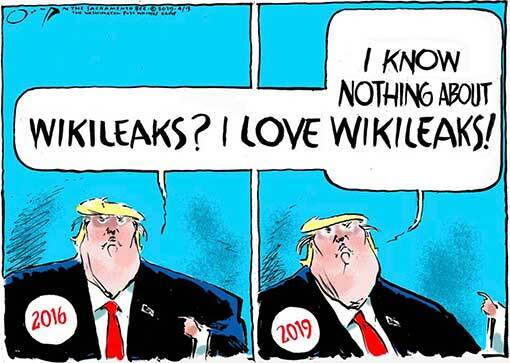 “I know nothing about WikiLeaks. 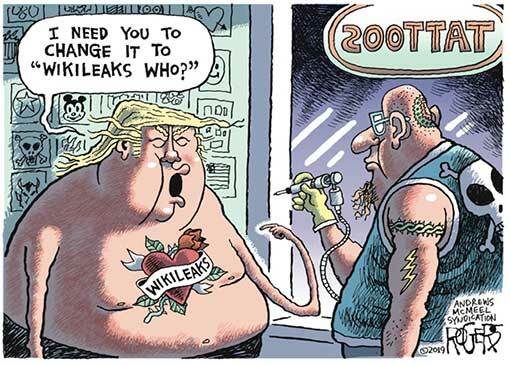 It’s not my thing.” — Trump seeking to distance himself from WikiLeaks after founder Julian Assange’s arrest in London. Trump Says WikiLeaks 141 Times On The Campaign Trail. Great news! #MAGA — Donald J. Trump@realDonaldTrump showing a Fox graphic that mistakingly shows Trump’s approval at 55%, referencing a Georgetown Politics poll. 7. Has the Senate finally hit rock bottom? The Trump administration has tapped Matthew Albence to lead Immigration and Customs Enforcement in the wake of the sudden resignation of its former leader. In a highly unusual public rebuke against President Donald Trump by a sitting member of the federal judiciary, US District Judge Carlton Reeves delivered a speech Thursday calling the Trump administration a "great assault on our judiciary" and comparing the president's criticism of the judiciary to tactics used by the Ku Klux Klan and segregationists. According to a copy of the speech obtained by BuzzFeed News, Reeves, who is black and sits in Jackson, Mississippi, extensively quoted Trump's tweets and public comments about judges and the courts (the written version includes footnotes making clear who and what Reeves is referring to) and blasted the lack of diversity among Trump's judicial nominees. Republican leaders are sharpening and poll-testing lines of attack that portray Democratic policies on health care, the environment and abortion as far outside the norm, in hopes of arming President Trump with hyperbolic sound bites — some of them false — asserting that Democrats would cause long waits for doctors or make killing babies after birth legal. 15. Roger Stone's woes: He's broke. Donald Trump doesn't call. And his wife broke her ankle. Donald Trump’s attorneys are warning of potential legal action if an accounting firm turns over a decade of the president’s financial records to the House Oversight and Reform Committee. Pete Buttigieg has already captured a lot more attention than you’d expect from the 37-year-old mayor of a small midwestern city mainly known for hosting big-time college football games. He is, for example, ranked third in a new poll on Democratic presidential candidates in New Hampshire by St. Anselm College. 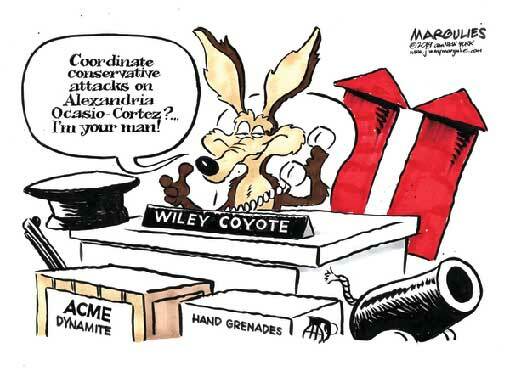 His candidacy could be for real. 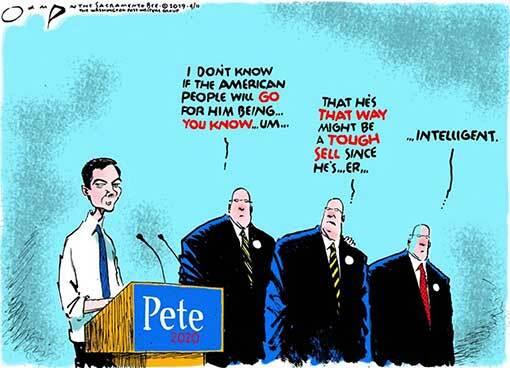 Pete Buttigieg offers a particularly interesting contrast with the 45th president. Would anyone be confident in accusing this married, churchgoing, Afghanistan veteran of being ethically inferior to Donald Trump? Not without risking hellfire. 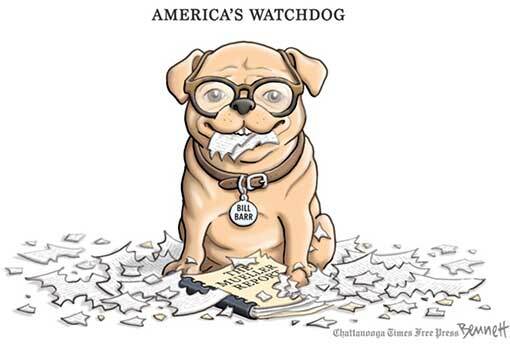 Bill Barr’s assertion that “spying did occur” against the Trump campaign has brought condemnations of impropriety from congressional Democrats and career intelligence officials, and raised suspicion that the attorney general is covering for Trump. Has Trump, at long last, finally found his Roy Cohn? When you invoke Roy Cohn, you have to specify which Roy Cohn. There’s the New York Cohn of the 1970s and ’80s, the Mob-connected fixer who enabled Trump’s rise, of course. But there’s also the earlier, Washington Cohn: the smear artist who abetted Joe McCarthy’s witch hunt to expose supposed Commies in the United States Army during the 1950s. The brilliantly perverse achievement of Barr is that he combines both Roy Cohns in a single package. He’s a fixer for Trump, as evidenced by his unsupported conclusion that the Mueller report lets the president off the legal hook for his manifold efforts to obstruct justice. 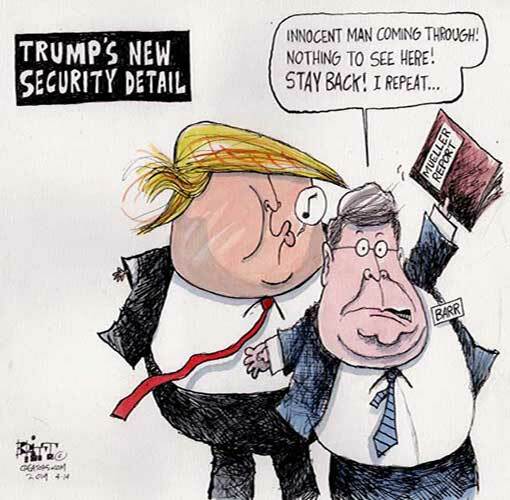 But Barr is also the McCarthy-era Cohn, sliming a “group of leaders there at the upper echelon” of government agencies for spying without offering any specifics or evidence. Omar is a Congressional “first,” and her opponents smell blood in the water. Even her less-spotlit Muslim woman counterpart, Michigan Representative Rashida Tlaib, has faced dubious allegations of anti-Semitism and having terrorist sympathies. (Tlaib is Palestinian-American.) The political value of attacking both is apparent. For Republicans, it enables them to deflect from their own bigotry, personified most recently by a president who has attempted to ban Muslim immigration, dissolve the American asylum system, and cast Muslims as latent or active terrorists while demonizing brown-skinned immigrants more broadly. For centrist Democrats, entertaining the suggestion that Omar is anti-Semitic is an opportunity to signal their commitment to pluralism while shoring up their ties to Israel and its supporters. Both rely on a willful misreading of her intentions that is more compatible with anti-Muslim stereotypes than with her actual, documented opposition to human- and civil-rights violators of all stripes. On Friday, the president announced that he is considering busing undocumented immigrants and asylum seekers from the southern border to liberal cities across the United States — and then releasing them onto the streets, in the hope that this would lead to so much chaos and/or violence that congressional Democrats will have no choice but to acquiesce to his demands on immigration. Here, Trump vouched for a Washington Post report that specifically suggested that the White House had repeatedly implored Immigration and Customs Enforcement to dump undocumented immigrants in Nancy Pelosi’s congressional district — as a means of coercing House Democrats into granting the administration concessions in budget negotiations. 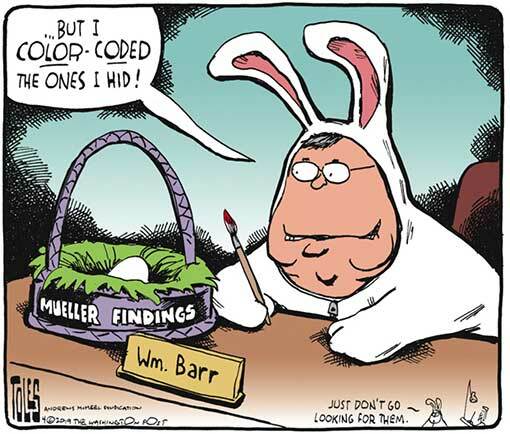 Attorney General William Barr has faced harsh criticism for his problematic treatment of the Mueller report, which some have suggested appeared to be calculated to benefit the president. 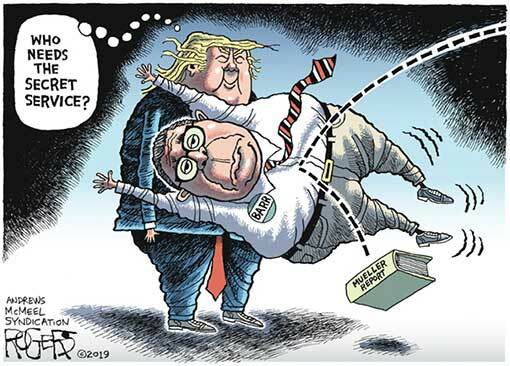 But a different action Barr recently took at President Donald Trump’s behest should be equally concerning. Last month, the attorney general announced that the United States will cease defending any portion of the Affordable Care Act in the courts. Instead, the DOJ will join a number of state attorneys general in challenging the constitutionality of the entire ACA, following the effective repeal of the individual mandate by Congress. This comes after the DOJ stopped defending the constitutionality of the ACA’s protection of insurance coverage for those with preexisting conditions last year. In taking the position that the entire ACA is constitutionally void, Barr abandoned a long-standing principle that the Department of Justice is duty-bound to defend the constitutionality of federal laws. In the words of one of Barr’s predecessors, such an action by the nation’s chief law enforcement officer may jeopardize the equilibrium of our constitutional system. Barr has all but acknowledged that the arguments against the ACA’s constitutionality, although they were accepted by one trial judge, are far from compelling; in fact, most observers (including some opponents of the law) consider them to be extremely weak. But during testimony before Congress this week, Barr stated that he nonetheless feels duty-bound to attack the ACA in the courts because Trump, after failing to convince a majority of the Senate to vote in favor of repealing the ACA, is now eager to see the act nullified by the courts instead. 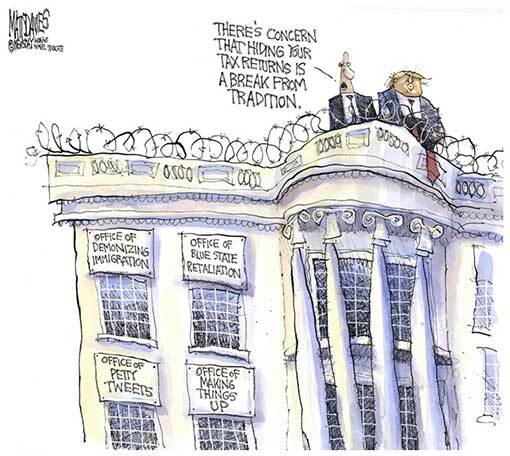 Trump knows the seriousness of the charge of treason, therefore he must be interpreting treason the way King Henry VIII did, in the lèse-majesté sense: Treason is anything that offends the dignity of the sovereign. Disagreement with Trump is an offense against the state, just as Henry executed unfaithful wives for treason. On Monday, President Trump is set to travel to Minnesota for an economic roundtable that will take place just outside the congressional district of Democratic Rep. Ilhan Omar. This comes after Trump tweeted out a video that wrenches some recent Omar remarks out of context to portray her as trivializing 9/11. The New York Times reports that the decision to hold the event near Omar’s district is a “calculated choice,” one that’s part of a broader effort to elevate Omar into the “most prominent voice of the Democratic Party.” The Times adds that Trump and his team see “limited downside” to this strategy.